One of the great things about baking is how it is basically chemistry, and cookies are a great opportunity to play with experimentation. Increase the flour, get doughier cookies. Increase the butter, get meltier cookies. 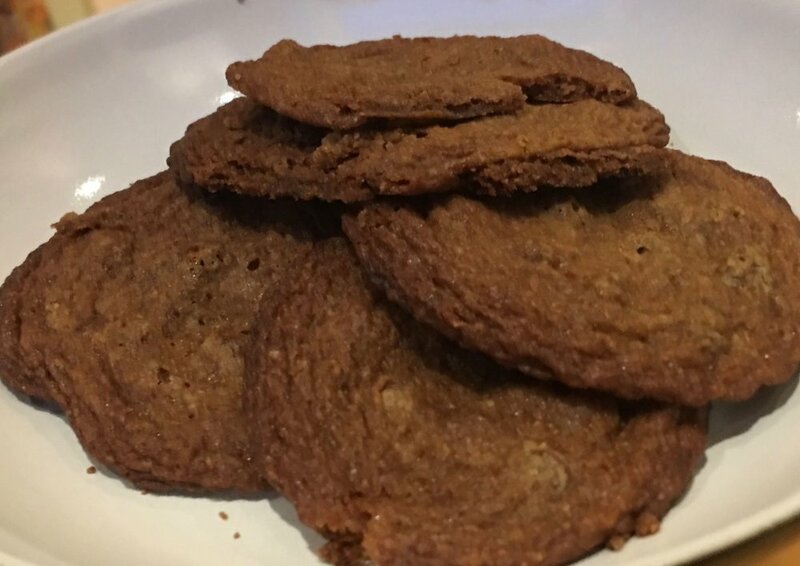 Cookies are pretty easy and forgiving, other recipes (macarons) are far less forgiving and need to be measured to the gram, and even variances in humidity will have a noticeable impact from one batch to the next. My eldest has taken to baking my favourite cookies for her friends, here's the recipe - but play with it to your heart's content. They are chocolate chip melties. Rating: All the stars! Mix, use a teaspoon to dollop on baking sheet, 2 inches apart. They spread so make the dough balls small and wide apart.